The airline presents with the presidents of the two autonomous communities, Fernando Clavijo and Francina Armengol, its first national route that will link directly Canary Islands with Mallorca, from May 2, 2018. Binter will link the two Spanish archipelagos with four weekly links: two between Mallorca and Gran Canaria and two others with Tenerife. 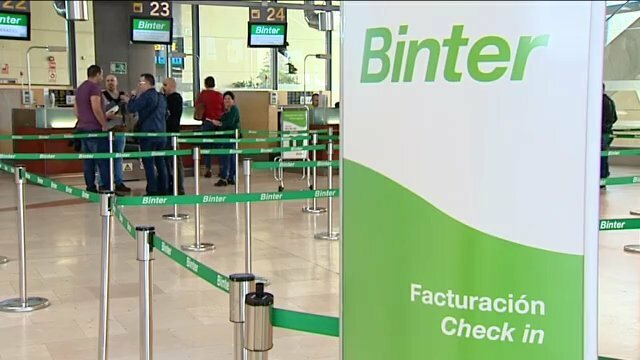 The president of Binter, Pedro Agustín del Castillo, presented yesterday the first regular flight with which the company will join the Canary Islands and the Balearic Islands and that means entering the national market. From next May 2, 2018, the Canary airline will connect both archipelagos four times a week. The presentation ceremony, which took place at the Tenerife North Airport, was attended by the President of the Canary Islands Government, Fernando Clavijo, the President of the Balearic Islands Government, Francina Armengol, and the Government Sub-delegate in the Canary Islands, Guillermo Díaz Guerra. On the part of the airline was present its president, Pedro Agustín del Castillo. Pedro Agustín del Castillo stressed that this first national air route of the company, “starts with a strong bet, with a schedule of four weekly frequencies on a regular route that covers a social demand”. Fernando Clavijo put in value the similarities of the Balearic and Canary Islands and their common defense of the improvement of transport and citizens’ access to it, and he hoped that the increase of the resident discount to 75% would also be applied in national transfers, “to do justice to the historical isolation to which our archipelagos have historically been subjected,” he said. 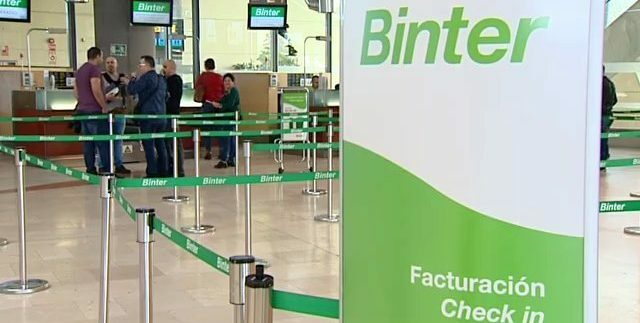 “I would like to congratulate Binter for making, once again, a commitment to excellence, for connectivity and for Canarian capital to be present internationally,” he said. “It is a pride to have a purely Canarian company betting on a sector as competitive as aeronautics,” said the highest representative of the regional executive. The President of the Government of the Balearic Islands, Francina Armengol, wanted to highlight the opportunities that this new connection entails “that will signify the beginning of a more direct, closer relationship between the Canary Islands and the Balearic Islands”. “In addition to greater tourist exchange, these new four weekly flights will translate into a more intense cultural and economic dialogue,” he said. For his part, the sub-delegate of the Government in Santa Cruz de Tenerife, Guillermo Díaz Guerra, congratulated the company Binter for the implementation of this new line and celebrated that “one of our reference companies in air transport is in favor of growth , for the expansion and for improving day by day the service it provides to thousands of Canarians, also contributing to the economic development of our islands and the creation of jobs “. The president of the airline announced that the new direct connections will be with Tenerife and Gran Canaria but will allow linking Mallorca “with any Canary Island thanks to the 170 inter-island flights that we operate on average every day”. During the next months, the company will not charge passengers of flights with the Balearic Islands the connections with other islands of the Archipelago, so it will be the same to fly between Mallorca and Tenerife than between Mallorca and La Palma. On Mondays and Thursdays the plane will leave Gran Canaria at 11.30 am to land in Mallorca at 3.20 pm, where it will take off at 4.20 pm to land in Gran Canaria at 6.40 pm. The connection between Palma de Mallorca Airport and Tenerife North Airport will be made on Wednesdays and Saturdays. An aircraft will take off from Tenerife at 12:20 and will land at 4:30 in Mallorca. At 5.20 pm, he will take off from there and return at 7.50 pm to Los Rodeos. These flights will be carried out with the new Bombardier CRJ 1000 aircraft incorporated to the Binter fleet in 2017, a reactor of high efficiency, reliability and performance with capacity for 100 passengers.